Thats an amazing granny that prob made dozen of inbred. What natural selection is doing?!! Hey essay, Stop being a Mexicunt and just stay home and eat some more tacos. Actually i think it should be Mexicant jump over the wall. 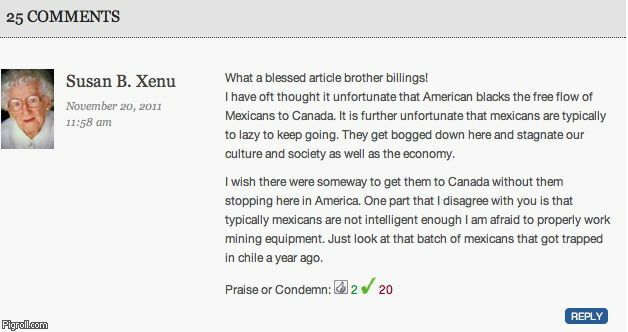 Also why u mad brah, Probs because Mexico is very poor.